Depicted here is a page from the Quran, the holy book of Islam. According to tradition, in the seventh century a Meccan merchant named Muhammad was visited by the angel Gabriel while meditating in a cave. The angel told Muhammad he would be the prophet of a new religion and began revealing to him the words of a new holy book, the Quran. Muhammad then began preaching this new religion, Islam. 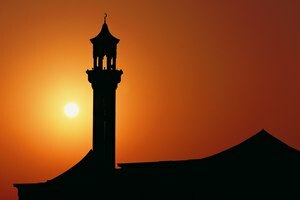 Today, Islam has over 1.5 billion adherents who follow a structure known as the Five Pillars of Islam. 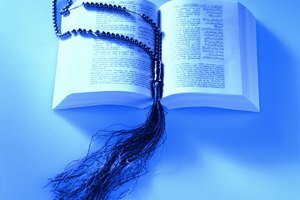 The Five Pillars of Islam are drawn from the two major sources of revelation that Muslims use, the Quran and the Hadith. The Quran was the word of God as revealed to Muhammad over the course of his lifetime by Gabriel and compiled soon after his death. The Hadith are a record of Muhammad's deeds and the actions of his followers, and provide the basis for rituals not specifically mentioned in the Quran. Together, they help define the Five Pillars. The first Pillar of Islam is the Shahada, or the declaration of faith, which all Muslims must make to be adherents of Islam. The declaration is a simple Arabic phrase that says, "There is no god but God and Muhammad is his messenger." 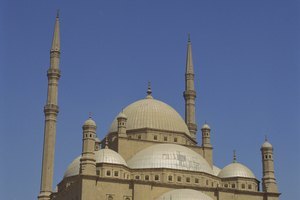 This declaration defines what make Islam unique: its emphasis on the unity or oneness of God and the prophet Muhammad as the new prophet. The next two Pillars are prayer and fasting. Prayer, called “salat” in Arabic, is required five times a day at set periods determined by the position of the sun. On Fridays, a communal prayer at a mosque is required, and is usually accompanied by a sermon. Fasting, meanwhile, is done during the lunar month of Ramadan, when Muslims abstain from food, drink and sexual relations while the sun is up. During Ramadan, Muslims must also participate in additional prayers. The final two Pillars are charity, or “zakat” in Arabic, and pilgrimage, or “hajj.” Muslims are required to donate a portion of their income to the poor as a form of charity. 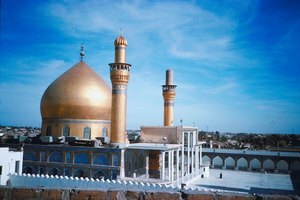 The exact amount differs based on an individual’s Islamic tradition, but most Muslims, whether Sunni or Shiite, donate a minimum of 2.5 percent of their income. Finally, all Muslims are required, at one point in their lives, to make a pilgrimage to the holy city of Mecca, where Muhammad founded the religion. Rashid, Aatif. "Characteristics of the Islam Religion." Synonym, https://classroom.synonym.com/characteristics-islam-religion-7421.html. Accessed 20 April 2019.